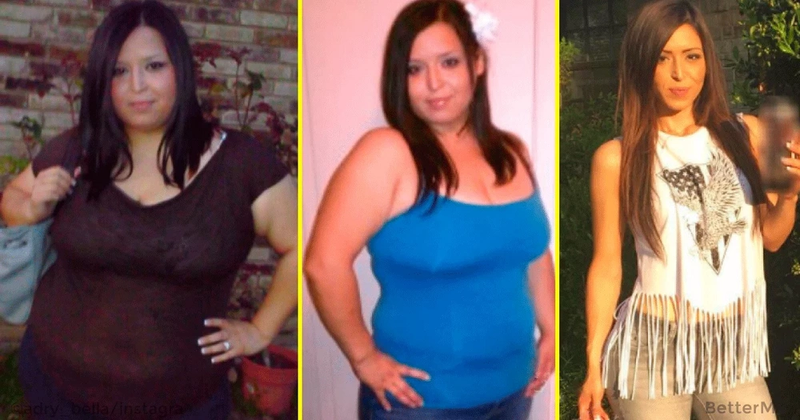 Adry Bella's diet plan that helped her lose 150 pounds in 20 months! Nowadays there are thousands of people who suffer from the problem of excess weight. All of them want to get rid of it since these excess pounds stop them from leading a normal life. Unfortunately not everyone has enough motivation and the belief that they can change their life at any moment they chose. Adry Bella is a clear example. She demonstrates to us that there is nothing impossible and everyone is the master of their life. This girl has lost over 150 pounds in 20 months! Her main goal was to become healthy. One day she got out of the shower and noticed edema on her feet and legs. It was also hard for her to even bend down and tie her shoes. Adry also had constant headaches. So, because of these health problems she decided to change her lifestyle as soon as possible. Adry started eating a healthy balanced diet and performing physical exercises daily. Within 20 months she transformed her body completely. As you can see, the results are really impressive.